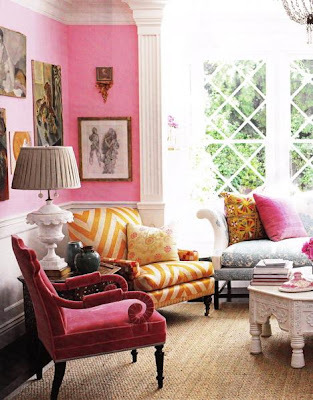 Pink is normally not a favorite color mine. I know, how very "ungirly" of me, right? But it's true. My sister and I used to always dress in matching outfits when we were little. Everything Meredith picked out would be pink and mine would be purple. 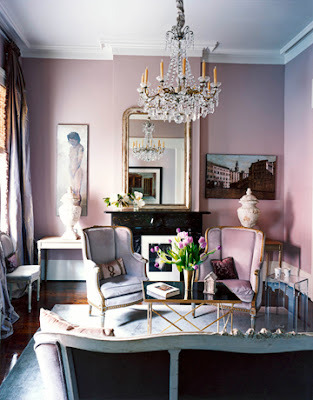 So needless to say, I wouldn't choose pink as my go-to color in decor either. However, there are times when a little (or a lot) of pink will do a room good. And in honor of Valentine's week, I'd thought I'd share some with you.